The humanoid walking robot TORO (TOrque-controlled humanoid RObot) is a research platform for scientific topics dealing with bipedal movement and dynamics. This includes things such as robust walking, climbing stairs and multi-contact scenarios. 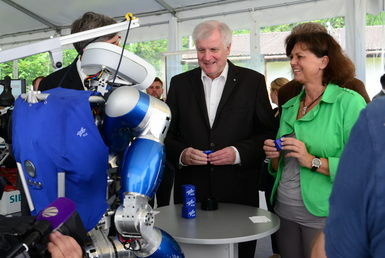 In 2013 TORO was presented to the public for the first time. 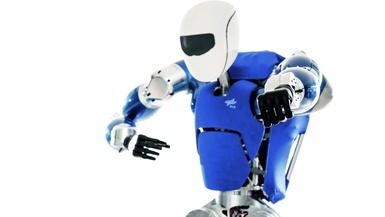 The humanoid robot TORO is being used to research the basic problem of equilibrium. 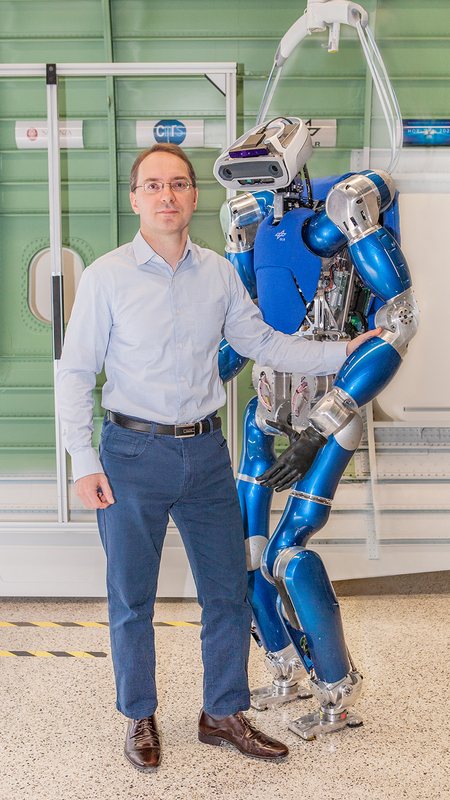 Algorithms for robust walking and balancing as well as for multi-contact controls are being developed. 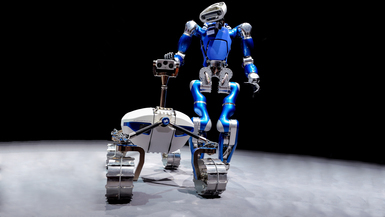 TORO, like its big brother Rollin’ Justin, is based on lightweight robotic technology. 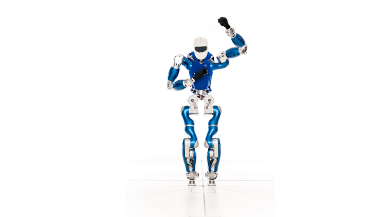 In almost all of its joints, TORO can actively control torques so that the stiff robot can be artificially flexible depending on the active controller. 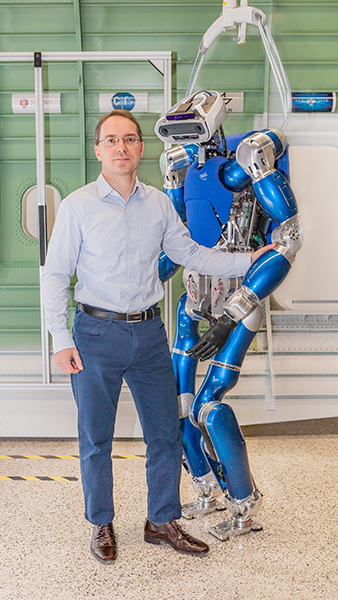 Unlike position-controlled robots, this flexibility promises a greater degree of safety when interacting with people, as well as greater robustness in contact with the environment. TORO offers the possibility to compare position- and torque-based control concepts. It compares impedance-based, inverse-dynamic control concepts in the field of whole-body control. 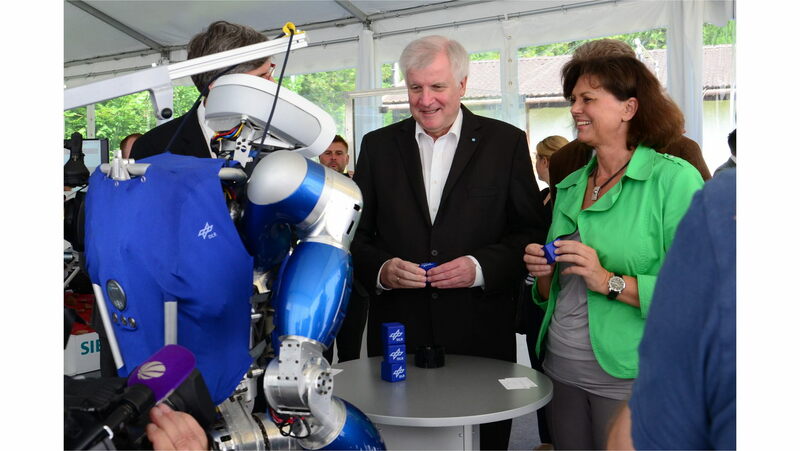 The Institute of Robotics and Mechatronics presented the LRU rover and the walking robot TORO at the 2014 ILA. 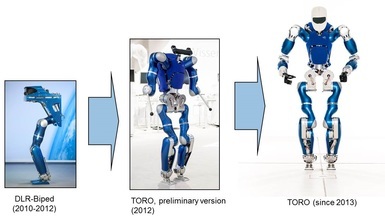 The shape of TORO was modeled on that of humans. Torque sensors in almost all joints allow the system to feel, for example, collisions or interaction forces with its surroundings and to respond accordingly safely and flexibly. The humanoid walking robot TORO is equipped with torque sensors in the joints, making it able to interact sensitively with its environment.